The Rogue stand bag has been made to give you that look and feel of a staff bag, providing ample space to carry all of your golfing equipment in comfort. 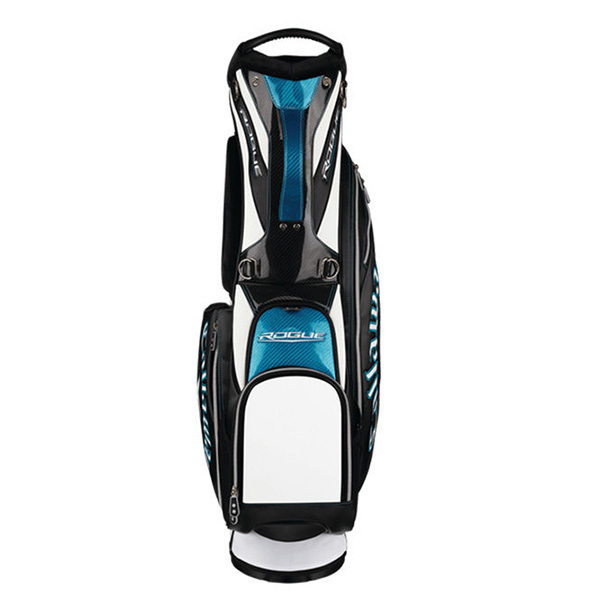 The bag is 6.4 lbs in weight and has a high mounted automatic stand system, with non-slip foot pads for added stability when you place your golf bag down on the ground. 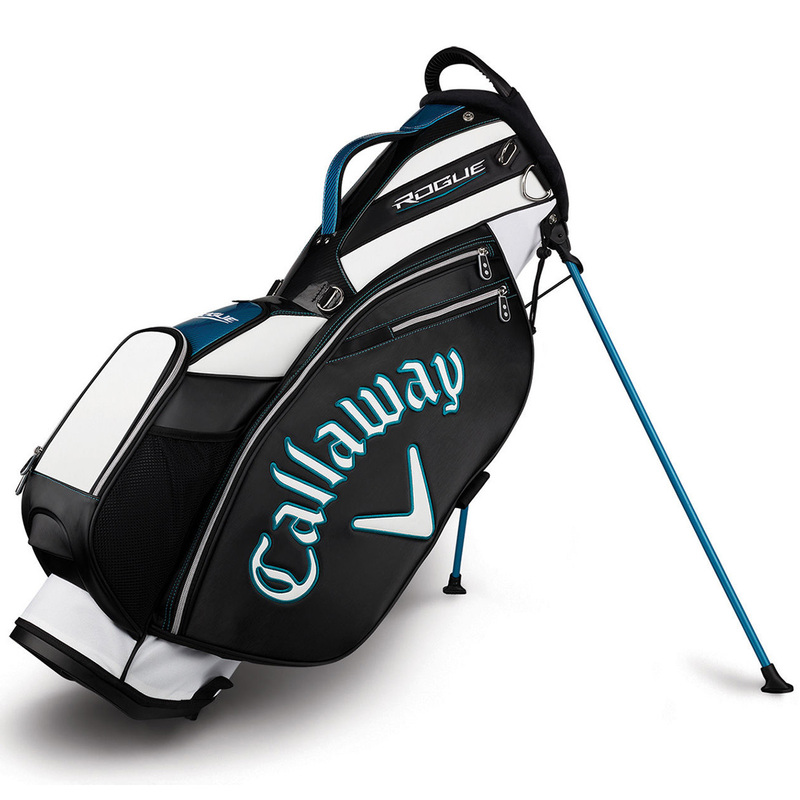 The bag boasts a large 9.5" top size with a 6-way divider system to help you separate your clubs for easier club selection on the golf course. 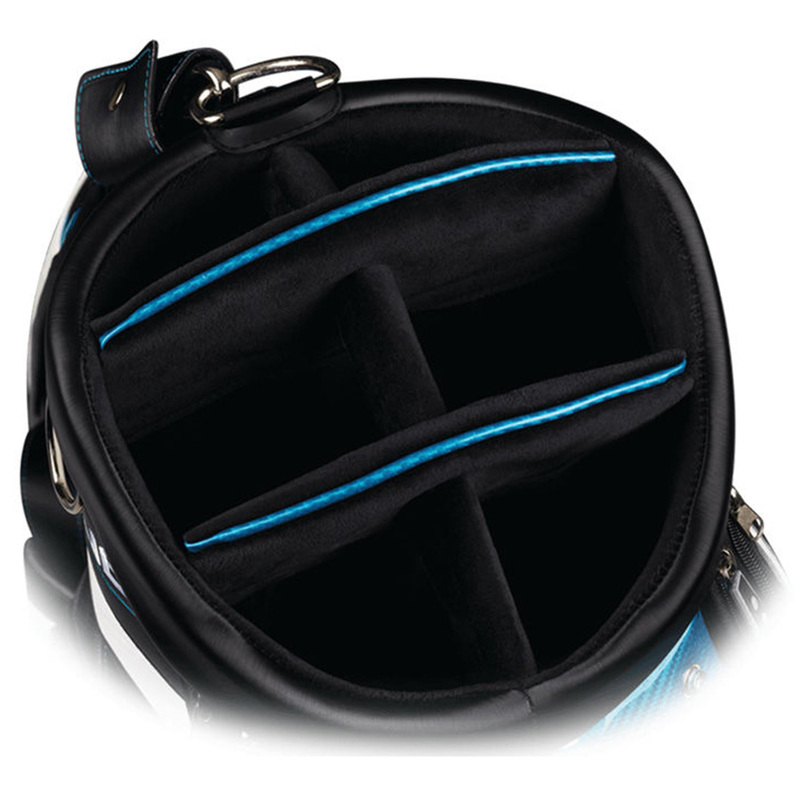 Plus has 7 strategically placed pockets, to provide plenty of room for all of your golfing accessories, these include a full length apparel pocket, velour-lined valuables pocket, and a zip off logo ready ball pocket. The Rogue golf bag has a perfect balance base to take the the weight of your golfing equipment evenly, has a with soft hip pad which provides maximum comfort and balance. 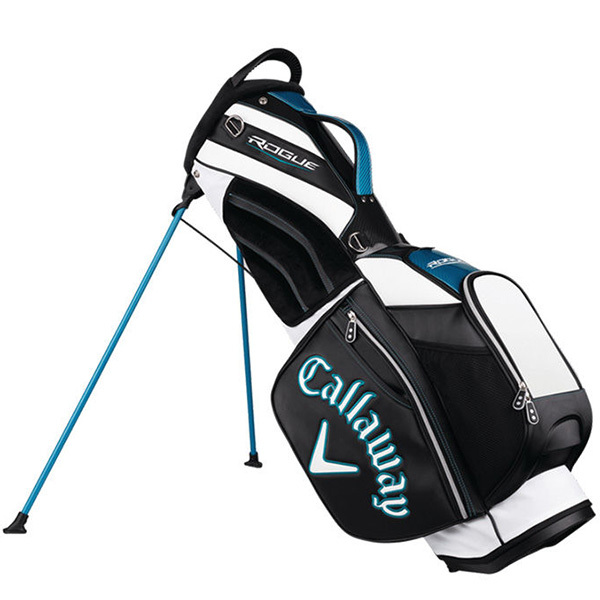 This bag comes with matching rain cover to help protect your golf equipment from the elements.